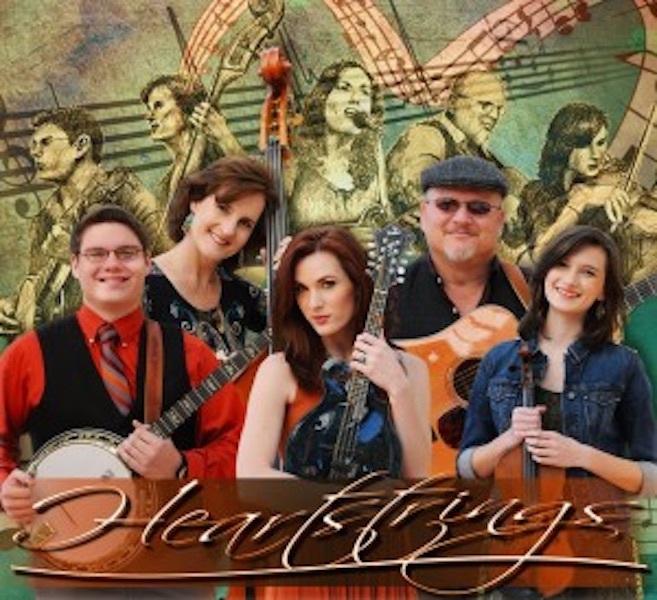 Orange Blossom Records has announced the upcoming album, Heartstrings by Trinity River Band, to be released on 12th May 2015. The album was recently recorded at National Media Services in Virginia with Executive Producer Mike Harris and Producers Will Shenk, Sarah Harris, and Joshua Harris. Trinity River Band members, Mike, Lisa, Sarah, Joshua and Brianna Harris are joined by special guests Marty Raybon on the song “Fences” written by Mark “Brink” Brinkman and Dale Pyatt, along with the talents of Mark Johnson on the song “Tell Me Darlin” written by Anne and Pete Sibley. Fans can expect the first single and title track “Heartstrings” to hit radio mid-April. The song, written by Mike Harris, is certainly highlighted by the tight family harmony featuring daughter, Sarah Harris on lead vocals. Sarah has received two consecutive nominations by the International Bluegrass Music Association for the Momentum Award in the Performance, Vocalist category. Heartstrings pre-orders are now available at trinityriverband.com. Fans are also invited to follow the band on Facebook and Twitter.